How To Take Care Of Your Clothing. After getting such great feedback on one of my recent posts, where I talk all about minimalism and my closet, I really wanted to pick up on this and write a second part. 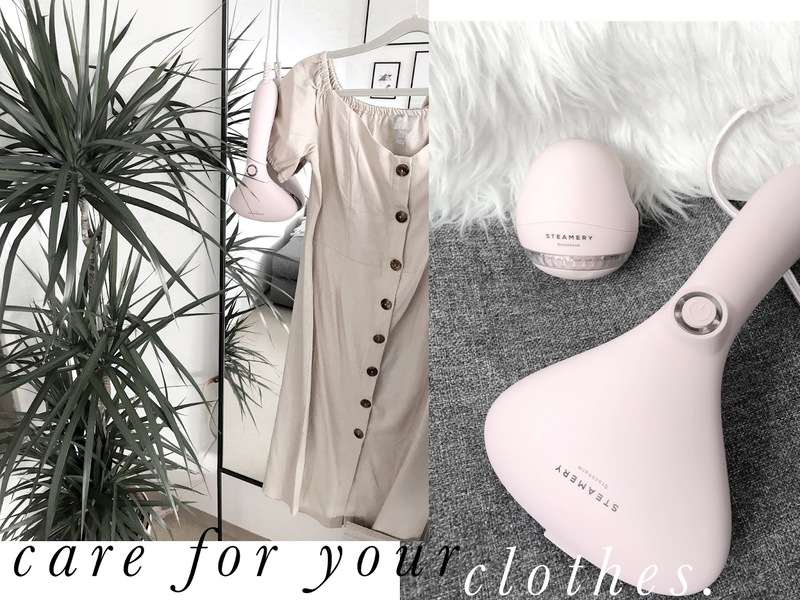 Taking care of the pieces that are already in your closet and you hopefully love, is a vital part of trying to implement minimalism in your life and your wardrobe. I mean, how are we supposed to minimize waste when we have to keep buying new clothes because our old ones are literally falling apart? So today I would like to share with you my top tips on how to take care of your clothes and make them last. I recently got the Steamery Cirrus No.2 steamer in this gorgeous pale pink color. I was looking to get into steaming my clothes for a while now. I honestly hate ironing. It's so time-consuming and I have ruined way too many beautiful dresses in the process. 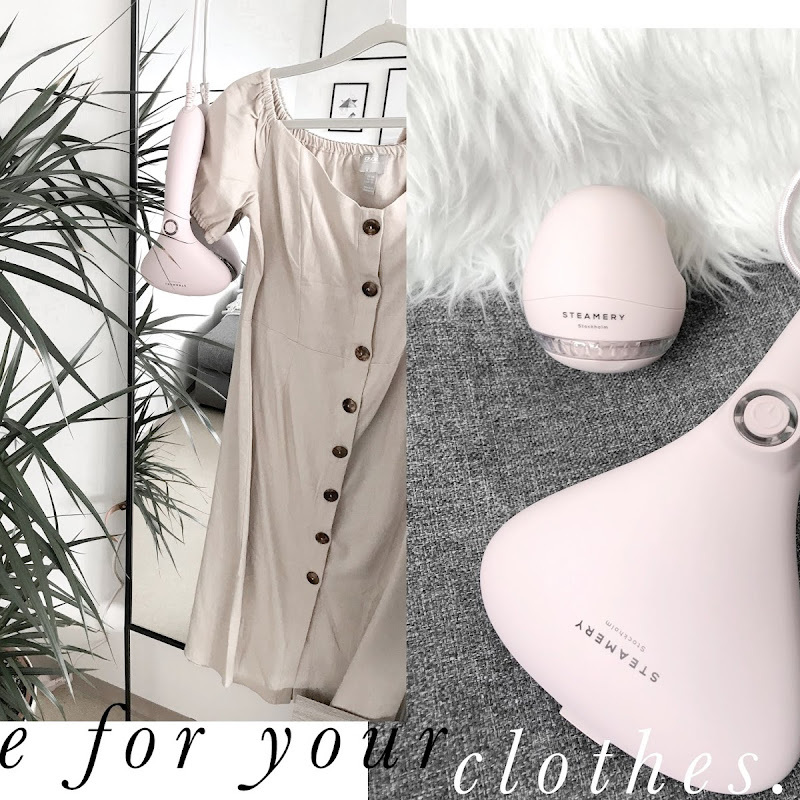 If you never heard of a steamer, it's basically a little device (you can also get big ones) that uses hot air steam to get rid of creases in your clothes and fabrics. Contrary to ironing, steaming actually causes the fabric to swell and soften and in turn to regain their natural shape. Ironing simply presses the fabric and makes it flat in order to get rid of creases. Steaming has the advantage of being more gentle to delicate fabrics and it also enhances the color of your clothing. A win-win situation if you ask me. Steaming also helps to freshen up your clothes. So if you want to give your shirt (or bed linen) a little freshen up in between washes, simply give it a quick steam. Do you know those little bobbles that build up on your favorite sweater and coat and make them look old and worn to death? There is a simple and quick solution to that: fabric shavers. I got the Pilo Fabric Shaver by Steamery to go with my steamer and I love this little guy. Definitely, my new best friend when it comes to giving my wardrobe a makeover. I know, handwashing your clothes is no fun and honestly, who has the time? However, some pieces simply require it. However, there are some washing machines which actually have a handwash setting. Of course, I wouldn't try to use this with extremely expensive items. In order to minimize the time I spend on handwashing my clothes, I try to avoid buying clothes that require it as much as I can. That's why it's so important to read labels before investing in a new piece. If you already know you won't be having the time (or nerves) to handwash your new sweater all the time, maybe you should look for a different one. Every time I go through my closet to see if there is anything I haven't worn in ages, I also do a quick quality check on all of my pieces. Are all of the buttons sewed on tight? Has a seam ripped? Is there a stain that needs to be taken care of? And if you see that anything needs some touch-ups, do it right away. Otherwise, you won't be wearing it and your item will collect dust in your wardrobe. And that's not really the idea behind a minimalistic wardrobe, is it? How To Make Your Makeup Last Longer. Summer is still a few months away if we are being optimistic. But I am sure we all want long-lasting makeup all year round, not only during a heatwave. 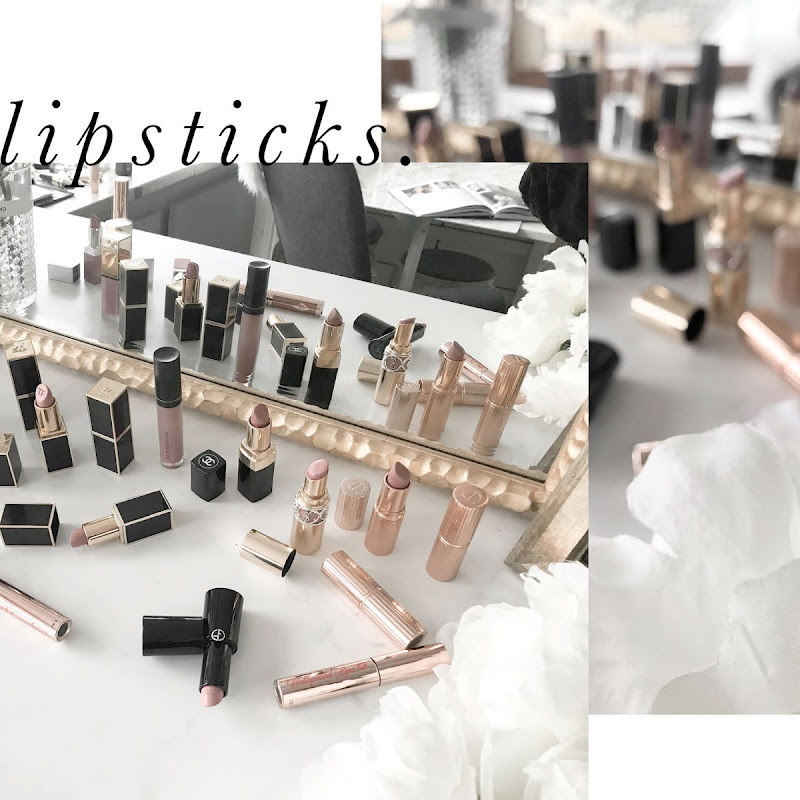 So today I am sharing with you my top tips on how to make your makeup last longer. This step is something a lot of people forget. 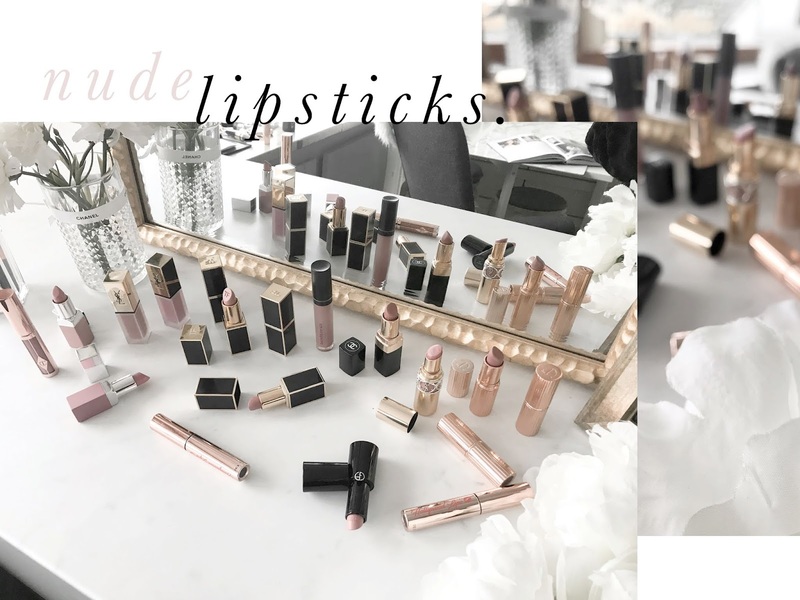 When they analyze why their makeup might not have the staying power they wish it had, they go straight into buying a new primer or powder, without looking at the basics first. 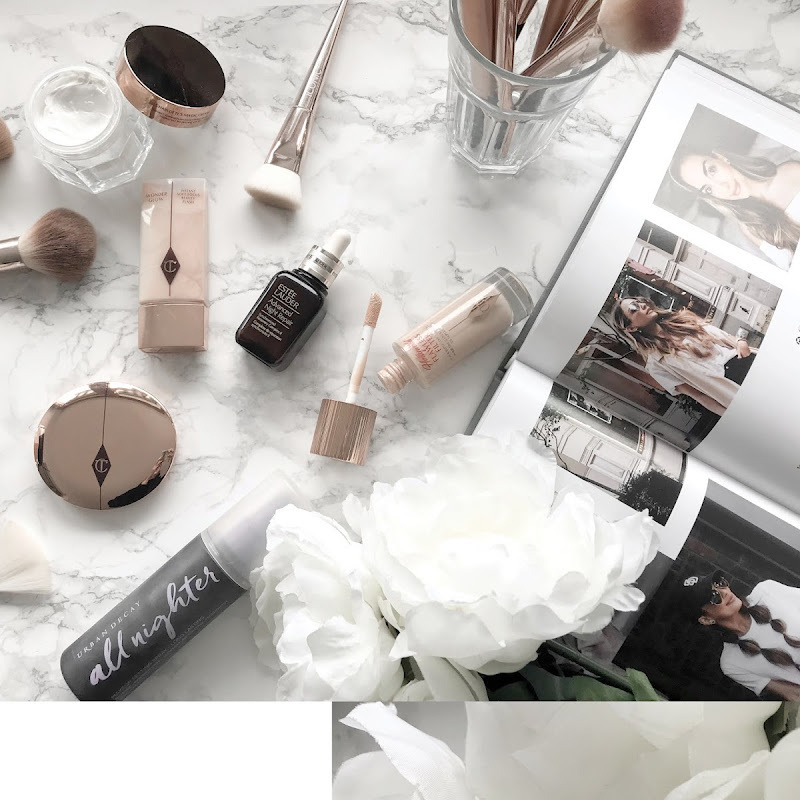 The skincare you are using before applying makeup has a big influence on its finish and how long it decides to stick around on your skin. When you feel like your makeup tends to melt off of your skin after a few hours and you are using an oil based moisturizer, maybe it's time to change things up. If your skin gets flakey and patchy shortly after applying your foundation, you might need more hydration in your routine. It's all about knowing what your skin needs and then try and find the right product for it. And don't worry, it's a journey. After you nailed your skincare routine. A primer can help to increase the longevity of your foundation. I personally don't use a primer all the time. But as my skin tends to be more dry, I use a makeup that amps up the glow. If you have oily skin, there are plenty of oil controlling primer out there. This is a debatable one. Some people hate powder, some people can't live without it. Personally think a light and natural looking powder helps to make my makeup last much longer. I try to focus on the undereyes and only use what it is left on the brush on the rest of my face. This way I avoid looking too matte or cakey. The last step in making sure your foundation lasts the whole day (or night) is using a setting spray. As much as I think that a primer is optional, I could never go without my setting spary. 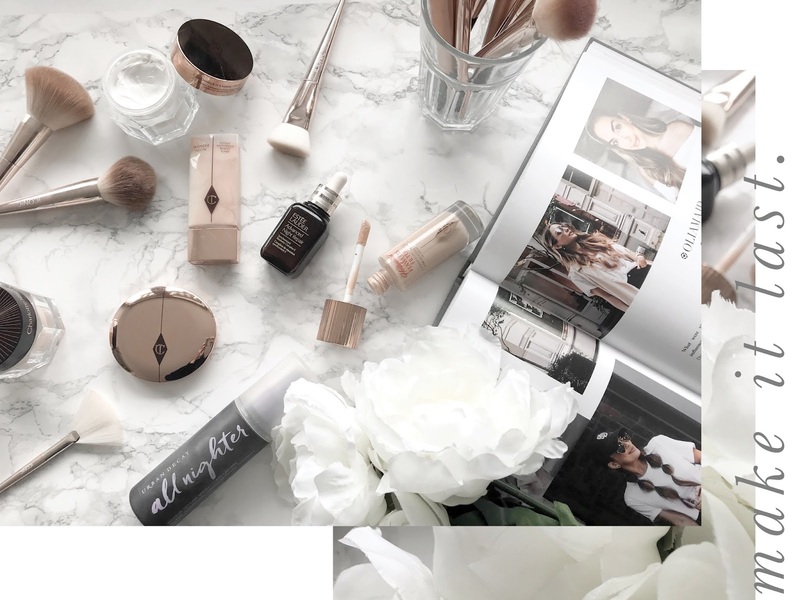 To me it makes all the difference, not only for increasing the longevity of my foundation, but also for making it look more dewy and natural. I have been using the Urban Decay All Nighter since around 3 years and can't see myself changing it anytime soon. Style Staples | Spring Edit. If you are following me on Instagram or Twitter, you probably know that I have recently come back from my three week trip to India. I feel like I have been looking forward to these three weeks for ages. And while I felt like the trip went by so incredibly quickly, I also feel like I have been gone forever. I experienced so much in such little time. We traveled to a new place almost every second day. This was mostly possible due to precise planning but also due to the fact that we were so open to whatever might happen. So today I want to share with you all my tips and tricks to travel around India. The first thing you will have to look into is your visa. I obviously can't give you a universal answer, as it mostly depends on the country you are applying from. A lot of countries, however, are eligible to apply for the Tourist e-Visa and that's what I did. (Just FYI I am from Germany). I strongly recommend applying for it directly at the Government of India website. I am aware that there are services that charge some money and then do the application for you. But if you have a bit more than a basic understanding of English, I am sure you can do it yourself. Not only is it cheaper, but you also avoid getting scammed. Also be aware of websites that imitate the official website, just to get your credit card information. India is such a huge country with an incredible amount of vastly different climates, landscapes, and languages. It was important to me to see as many as different places in those three weeks. Just be aware that traveling in India is much more time consuming and tiring as it might be in your home country. For example, a distance of 300km could easily be done in 3 hours in Germany. In India, such a trip could cost you 8 or even 10 hours if you are really unlucky. That's why air travel is a good option if you have to cover long distances. Our trip started out in Delhi, where we took a car (with driver) to Bareilly. Those 300km took us almost 6 hours. After attending a wedding, we took the same trip back to New Delhi Airport, which took us almost 9 hours due to really bad traffic. From there we took a flight to Goa. Goa is a beautiful state in the south of India. It's a popular place for travelers who want the extremely warm weather of India all year round (30 degrees Celsius in winters). Goa has a lot of beautiful beaches. Once we hired a car (Goa is a good place to drive yourself, if you really want to), we went even more south in Goa to skip the crowds of tourists in North Goa. We rented an Airbnb in the Canacona area and in my opinion it was the best decision ever. The beaches (Galgibag beach was my fave) were almost empty, yet absolutely beautiful. If you are willing to drive an additional 2-3 hours from Panjim, which is the capital of Goa, you are with rewarded with beautiful secluded beaches. However, if you want to Party and you don't mind loads of people, Panjim is the way to go. After a few days in Goa, we heavyheartedly took a flight back to New Delhi. After exploring New Delhi for a few days, we hired yet another car to go to Agra. You might have not heard of Agra, but you most likely have heard of the Taj Mahal which is located in Agra. 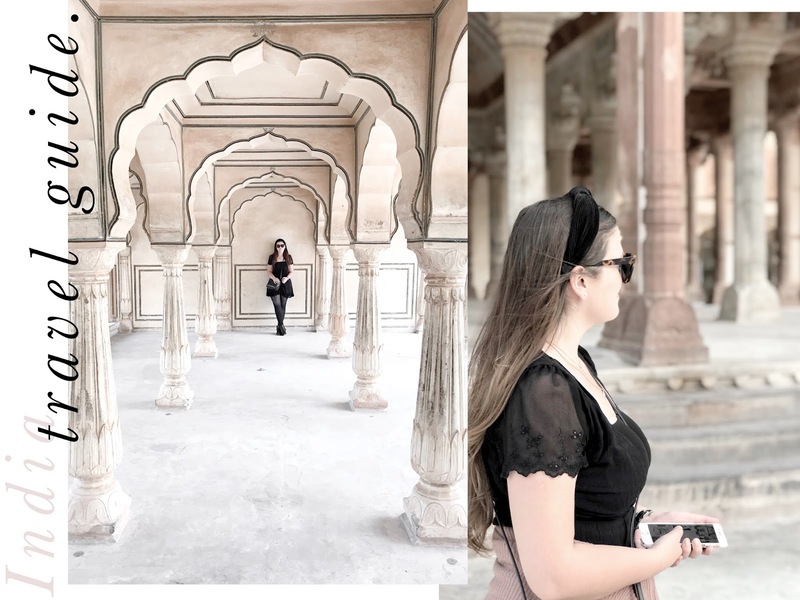 I absolutely loved Agra and would say it's a must-see if you come to India the first time. If you decide to stop in Agra, please also consider visiting the SOS Wildlife Elephant Conservation and Care Center. Just write them an E-Mail beforehand and choose a time slot. Please make time for such an important place and cause. I don't want to go in depth about this issue in this post, but the abuse and exploration of animals, especially elephants in India is still a huge problem and it is important to get educated and spread the message. 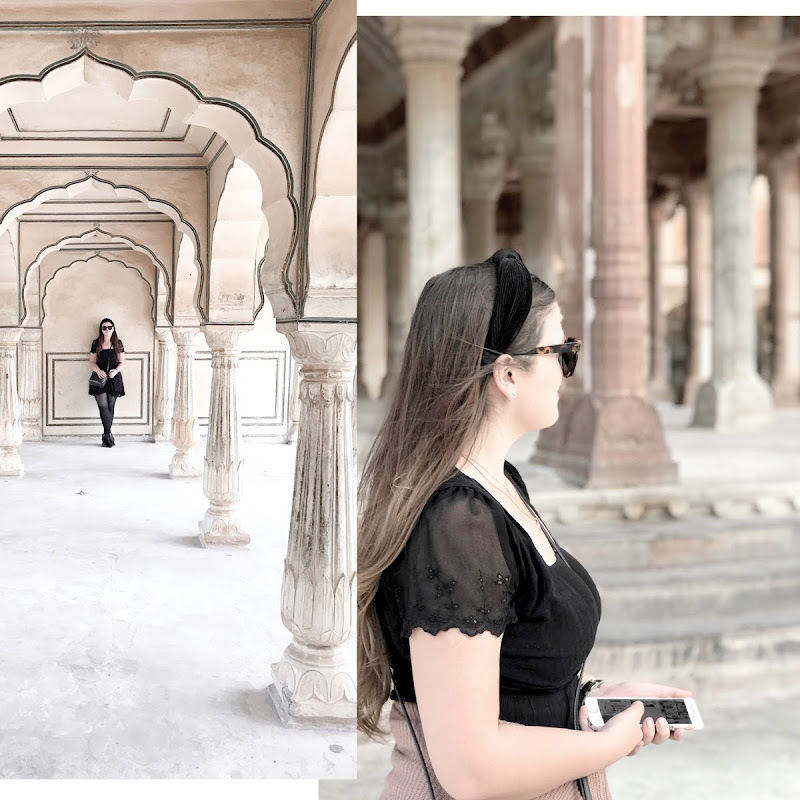 After a couple of days in Agra, we took our car and went more west to Jaipur. Agra and Jaipur are pretty well connected and the 240km took as around 4 hours. 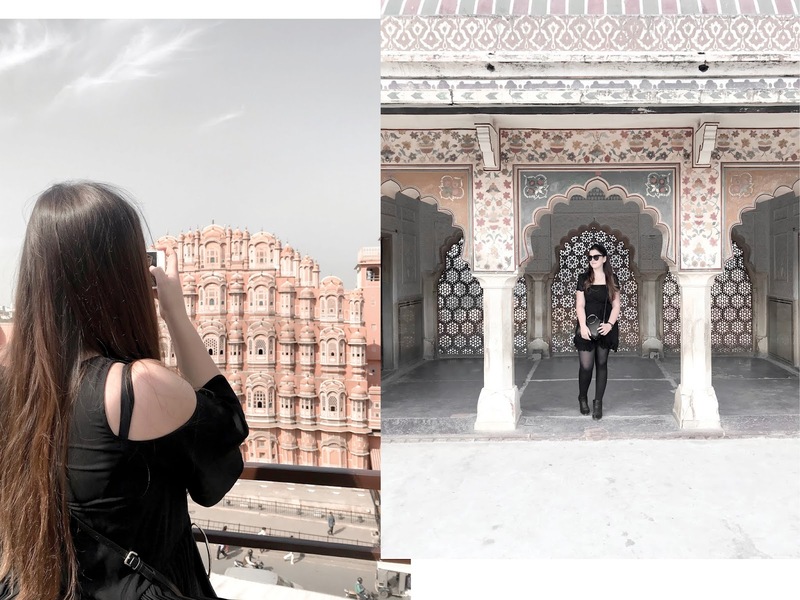 Jaipur was an amazing experience. The Amber Fort is absolutely beautiful and in my opinion equally worth seeing as the Taj Mahal. Plus, the Amber Fort is not as crowded and you have more time and space to explore. The next day we drove further west to Jodhpur. The 340km took us around 6 hours. Jodhpur was another beautiful place, which is called the blue city. Because of its many blue buildings. If you want to visit the blue city, you should visit the Mehrangarh Fort and do the Flying Fox zip line around the fort to get the most incredible view. However, if you have less time to spend in India, I recommend skipping Jodhpur. Initially, we had planned to drive all the way from Jodhpur back to New Delhi. But after traveling so much and realizing how long everything takes we were unsure if this would be the smartest idea. So while coming back we booked another night in Jaipur and continued our journey back to India's capital in the morning. We yet again spent a few days in New Delhi and then made our journey back to Germany. This obviously totally depends on when and where you go. February was still considered winter in India and it was indeed a bit chilly in the evenings. So definitely pack a light coat, maybe just a thick cardigan for the evenings. Otherwise, I would say try to pack things that you can layer. The weather is quite unpredictable. If you go further south you obviously have to pack for warmer weather. In Goa, I mostly lived in linen dresses or my bikini and sandals. I found a lot of practical pieces on Planet Sports. For footwear, I highly recommend a comfortable pair of sneakers and sandals, regardless of where you go. A roomy outdoor backpack for your day trips is another must. Sunglasses and some sort of sun hat would always be a good idea. And regardless of when or where you go: consider and respect their culture and don't wear anything too revealing like deep cut shirts or extremely short skirts. When it comes to toiletries you should definitely take toilet paper/ paper tissues with you as not every public toilet will have that available for you. I recommend buying anti-mosquito sprays and gels in India itself, as they are more suitable for their kind of mosquitos. Also, don't forget your sunscreen, blister plasters, antibacterial sprays/gels, and earplugs. If you go to Jaipur, you have to check out their jewelry. Jaipur is famous for its stones. I personally got myself a beautiful ring and it's simply something special. You'll remember your trip every time you look at it. Agra is a great place to buy marble goods. I got a few pieces as I absolutely adore marble. But of course, you have to consider that marble is quite heavy and delicate to transport. So maybe stick to small pieces. Another thing that is quite inexpensive, at least compared to Germany, is tailoring. I got a blazer tailored for myself and my sister's boyfriend got a whole (Indian style) suit made. My blazer cost me about 80€ which is around the price I would pay for a Zara blazer anyway. And now I have one which fits like a glove and is made out of the fabric and buttons that I chose. If you have any more questions, like recommendations for hotels, restaurants and so on, you can comment, tweet or Instagram message me anytime.